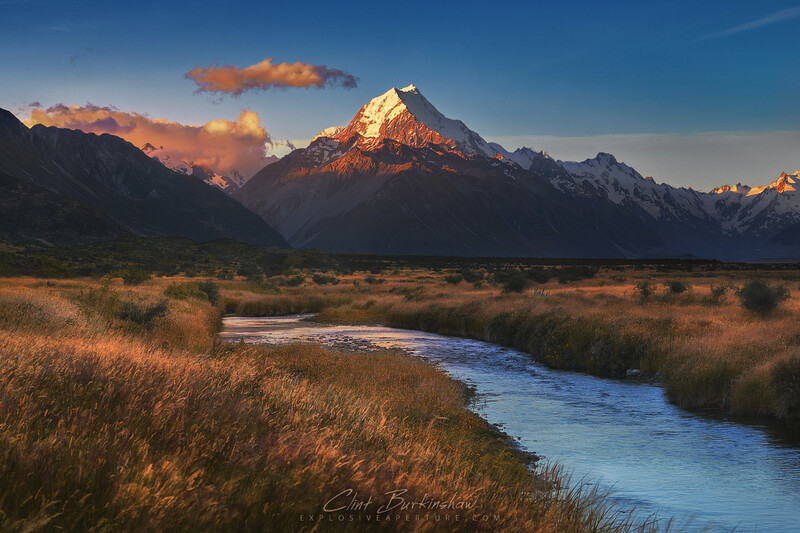 Mount Cook, the king of the Aoraki/Mount Cook National Park. It towers above the skyline and visible from anywhere in the entire valley. A very beautiful yet dominating peak, which was just candy for the landscape photographer in me! When I first drove up this valley, I couldn’t leave the location, and tagged on extra days in the area. This made sure I could take extra trips up in to the mountains and capture as many opportunities as possible for this gorgeous little pocket of southern New Zealand.